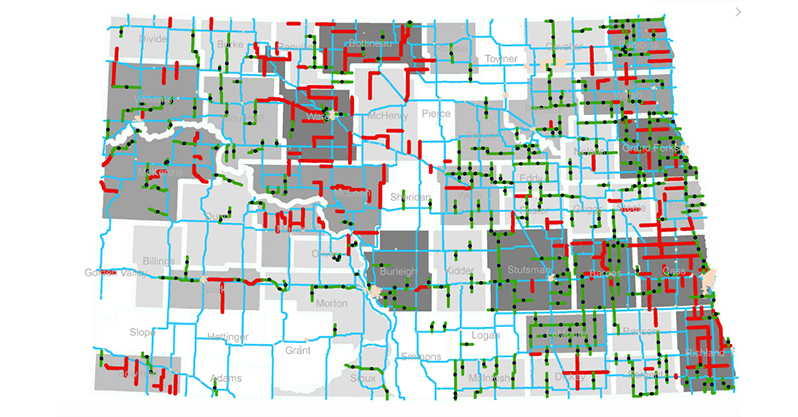 4000+ Miles of County Roads Project in North Dakota - Infrasense Inc.
Infrasense worked with the Upper Great Plains Transportation Institute and Dynatest Consulting to complete a NDT subsurface pavement structure investigation as part of a legislature-commissioned study to determine the investment needs for all county and township roads and bridges in North Dakota. 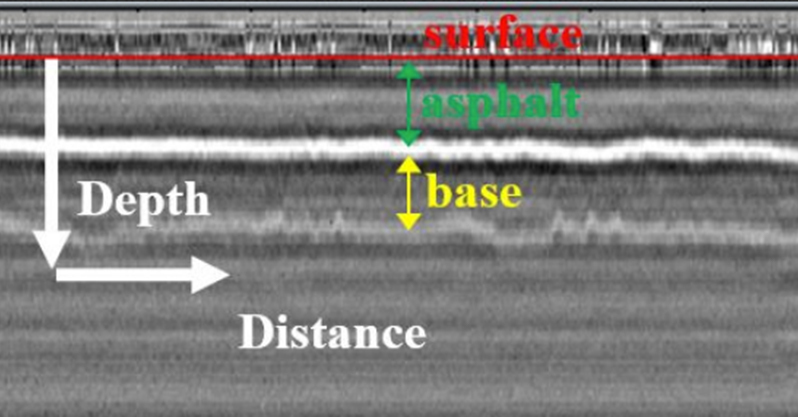 The pavement investigation project included GPR pavement thickness and structure data collection and analysis for over 1500 miles of roads in 2013, and over 2600 miles of roads in 2015, in order to supplement falling weight deflectometer testing. A Quality Assurance process was developed in working with Dynatest to both streamline and improve the overall accuracy of the GPR and FWD results.